Find your Perfect Mid Range tyres with Tyre Shopper! Find your perfect Mid Range tyres through Tyre Shopper! 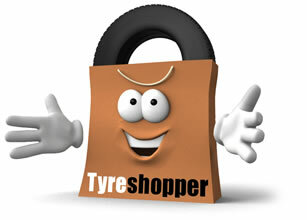 Smart shoppers buy their Mid Range tyres from Tyre Shopper! Mid-range tyres are an extremely popular choice for drivers with moderate annual mileages, that combine main road and motorway driving and who require excellent durability, but at a more affordable price than premium brands. Tyre Shopper scour the market for the best mid-range tyre brands and bring them to our customers’ at the most competitive prices. Brands include the ever-popular Avon tyres (one of the few remaining brands with a British heritage), Firestone tyres, Toyo tyres, Yokohama tyres and our newest mid-range offering, Sailun tyres. All our mid-range tyres have excellent label ratings, many of which rival those of their more expensive premium equivalents. If you are looking to purchase mid-range tyres for your vehicle, then please enter your vehicle registration to we can help you find the perfect tyre for your vehicle. If you do not know your vehicle registration number, please enter your tyre size. Buy with confidence from the UK’s No.1 online tyre retailer.